There’s a take-off of the industry slogan, “Beef: It’s What’s For Dinner” – “Beef: It’s What’s Rotting in Your Colon.” I saw this on a shirt once with some friends and I was such the party pooper—no pun intended—explaining to everyone that meat is fully digested in the small intestine, and never makes it down into the colon. It’s no fun hanging out with biology geeks. It’s been estimated that with a typical Western diet, up to 12 grams of protein can escape digestion, and when it reaches the colon, it can be turned into toxic substances like ammonia. This degradation of undigested protein in the colon is called putrefaction; so, a little meat can actually end up putrefying in our colon. The problem is that some of the by-products of this putrefaction process can be toxic. It’s generally accepted that carbohydrate fermentation—the fiber and resistant starches that reach our colon—results in beneficial effects because of the generation of short-chain fatty acids like butyrate, whereas protein fermentation is considered detrimental. Protein fermentation mainly occurs in the lower end of colon and results in the production of potentially toxic metabolites. That may be why colorectal cancer and ulcerative colitis tend to happen lower down—because that’s where the protein is putrefying. Probably the simplest strategy to reduce the potential harm of protein fermentation is to reduce dietary protein intake. But the accumulation of these toxic by-products of protein metabolism may be attenuated by the fermentation of undigested plant matter. 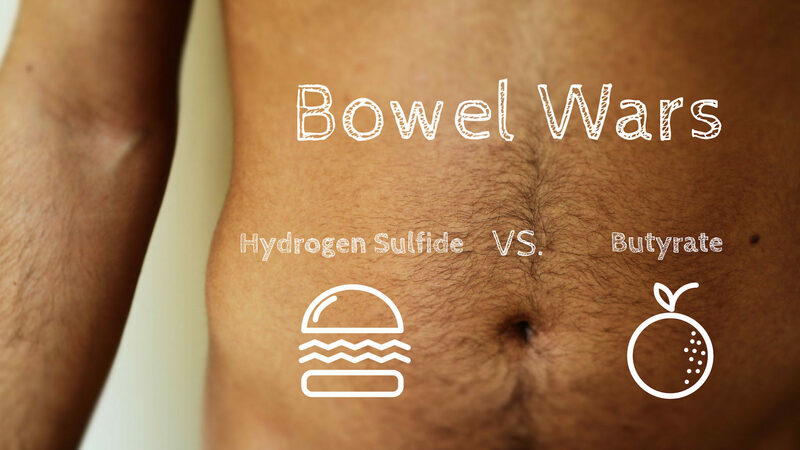 In my video, Bowel Wars: Hydrogen Sulfide vs. Butyrate, you can see that a study out of Australia showed that if you give people foods containing resistant starch, you can block the accumulation of potentially harmful by-products of protein metabolism. Resistant starch is resistant to small intestine digestion; and so, it makes it down to our colon where it can feed our good bacteria. Resistant starch is found in cooked beans, split peas, chickpeas, lentils, raw oatmeal, and cooled cooked pasta (like macaroni salad). Apparently, the more starch that ends up in the colon, the less ammonia that is produced. Of course, there’s protein in plants too. The difference is that animal proteins tend to have more sulfur-containing amino acids like methionine, which can be turned into hydrogen sulfide in our colon. Hydrogen sulfide is the rotten egg gas that may play a role in the development of the inflammatory bowel disease, ulcerative colitis (see Preventing Ulcerative Colitis with Diet). The toxic effects of hydrogen sulfide appear to be a result of blocking the ability of the cells lining our colon from utilizing butyrate, which is what our good bacteria make from the fiber and resistant starch we eat. It’s like this constant battle in our colon between the bad metabolites of protein, hydrogen sulfide, and the good metabolites of carbohydrates, butyrate. Using human colon samples, researchers were able to show that the adverse effects of sulfide could be reversed by butyrate. So, we can either cut down on meat, eat more plants, or both. There are two ways hydrogen sulfide can be produced, though. It’s mainly present in our large intestine as a result of the breakdown of sulfur-containing proteins, but the rotten egg gas can also be generated from inorganic sulfur preservatives like sulfites and sulfur dioxide. Sulfur dioxide is used as a preservative in dried fruit, and sulfites are added to wines. We can avoid sulfur additives by reading labels or by just choosing organic, since they’re forbidden from organic fruits and beverages by law. More than 35 years ago, studies started implicating sulfur dioxide preservatives in the exacerbation of asthma. This so-called “sulfite-sensitivity” seems to affect only about 1 in 2,000 people; so, I recommended those with asthma avoid it, but otherwise I considered the preservative harmless. I am now not so sure, and advise people to avoid it when possible. Cabbage family vegetables naturally have some sulfur compounds, but thankfully, after following more than a hundred thousand women for over 25 years, researchers concluded cruciferous vegetables were not associated with elevated colitis risk. Because of animal protein and processed food intake, the standard American diet may contain five or six times more sulfur than a diet centered around unprocessed plant foods. This may help explain the rarity of inflammatory bowel disease among those eating traditional whole food, plant-based diets. How could companies just add things like sulfur dioxide to foods without adequate safety testing? See Who Determines if Food Additives are Safe? For other additives that may be a problem, see Titanium Dioxide & Inflammatory Bowel Disease and Is Carrageenan Safe? More on this epic fermentation battle in our gut in Stool pH and Colon Cancer. Does the sulfur-containing amino acid methionine sound familiar? You may remember it from such hits as Starving Cancer with Methionine Restriction and Methionine Restriction as a Life Extension Strategy. These short-chain fatty acids released by our good bacteria when we eat fiber and resistant starches are what may be behind the second meal effect: Beans and the Second Meal Effect. I mentioned ulcerative colitis. What about the other inflammatory bowel disease, Crohn’s? 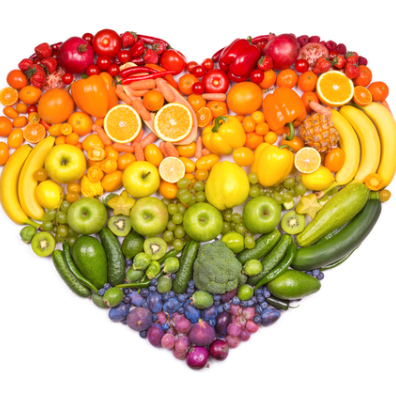 See Preventing Crohn’s Disease With Diet and Dietary Treatment of Crohn’s Disease. As the good Doctor said Protein fermentation is considered detrimental, especially in public!!! I am totally convinced that the consumption of all animal protein is the number one risk factor for colorectal cancer especially coupled with a low-fiber diet. I believe that as we age our ability to digest animal muscle tissues decreases as the pancreatic enzymes diminish. Inadequate chewing of animal muscle tissue is probably a big factor in incomplete digestion. I believe that poor food combining is also a factor. Example, combining animal protein with starches, like meat and potato or a hamburger in a bun. Protein and starches require completely different pH and enzymes for digestion so both end up poorly digested prior entering the colon. I have been 100% plant-based for 35 years and never had the inclination to eat any form of animal tissue during this time. I very quickly lost my appetite for dead animal carcass and reverted back to my early childhood inclinations to reject meat. Eggs and cheese have become quite repulsive over time also. Although being a non-meat eater is protective against such things as colon cancer, it cannot prevent it totally. I was diagnosed with colon cancer two years ago after nearly 30 years of being a vegetarian, the last six years of which I was a vegan (and still am). I’ve never smoked, never been overweight, exercise regularly, so have none of the high risk factors. What I would like to know is, did my first 35 years of being a meat eater contribute to my cancer?. Yes, cancers may take years to be identified by doctors, that is, to be visible as tumors. But first and foremost, it is a poisoning of the blood stream, where cancer cells get initiated and concentrate and proliferate into the blood stream until they settle down into a particular location of the body and make a tumor to grow locally. So the food one eats may either contribute to, slow down, stop or reverse the proliferation of cancer cells. Hi Elsie, vegetarians do get colon cancer too but at lower rates than meat eaters. Eggs and dairy face the same digestive challenges. Undigested protein from any animal source that enters the colon can increase risk on colon or rectal cancer. Low fiber intake raises the risk further. The colon is a highly neglected organ and is the root of many modern diseases. A healthy gut is maintained by eating mostly fruits and vegetables, eliminating processed foods, no animal foods and following food combining principles. Eating fermented vegetables helps replenish healthy gut bacteria. Unfortunately, fermented vegetables may also promote cancer (cf Kimchi video on the site). The American Journal of Clinical Nutrition published results of a 65-year follow-up study showing dairy consumption affects biological pathways associated with carcinogenesis. They found a diet rich in dairy products during childhood is associated with a greater risk of colorectal cancer in adulthood. High childhood total dairy intake was associated with a near-tripling in the risk of colorectal cancer compared with low intake, independent of meat, fruit, and vegetable intakes and socioeconomic indicators. Milk intake showed a similar association. I believe that disease and cancer are not just caused by food intake but also by lifestyle which includes your thoughts and your feelings, your attitude,your forgiveness to bitterness ratio. If you are living a high pressure lifestyle with not enough rest and not enough laughter, love and caring, you can set up an environment for the breakdown of your immune system. Can you suggest a cook book? Cookbook suggestions: Anything by Forks Over Knives and The Happy Herbivore Series by Lindsay Nixon. I have been living with sulfite sensitivity for 10 years now. The sensitivity arrived suddenly when I reached 50 years old. So I’d like to clarify that, unfortunately, we cannot avoid sulfur additives by reading labels in the USA. They are only required to be labeled when added sulfites reach a ridiculously high threshold. Unlabeled sulfites are added to most preserved, manufactured, or processed food. Common ingredients and foods like vinegar, white sugar, fruit juice, chocolate, bread, crackers, all seafood, spices, tea, syrups and salad dressings all contain unlabeled, added sulfites. The only way to avoid added sulfites is to limit one’s diet to fresh produce (except grapes) and grains or 100% certified organic processed food. Thankfully, these limitations led me to a whole food, plant-based diet! Can you share your best references? I don’t like eat meat , but I wan’t to loose weight. All diet include a lot of meat and fish to loose weight. I think that it isn’t the same a healthy diet than a regimen diet.I would like to know a diet without animal protein to loose weight.Thanks. Lost 12 kg on it and am now at 20 Bmi. Does not say anything about what to eat. Just about how much. I also curbed eating time. Try to eat all meals in a 6-8 hour span. Workout before eating. Also be careful with carbs and fats, but do eat nuts. Loads of veggies so I’m never hungry, and green or pu-erh tea helps me feel full. Still do one day a week at about 500 calories. Eating anything? I would incorporate many plant based foods for the antioxidants n limit sugar to limit inflammatory response in body. N hydrate well w mostly water. Perhaps a good start would be by reading some of my other comments. I primarily consume only whole plant-based products including nuts/seeds and avocados for healthy fat. Ana, . . good for you for writing in and searching for answers to your life situations. Keep the faith and continue in a forward direction for your most wonderful life. I am assuming English may not be your first language? Normally I would overlook the loose word used, loosely, as lose, but I think three times in a paragraph may warrant correction for your sake. The word loose, in it’s most basal definition, is to not fit tightly. To lose, is to be deprived or lessened of something. Now, let us move on to your main question. The meat-centric diets are unhealthy; there is no debating that fact with the science available. What you can start by doing is replace all of the meat options, with a wide variety of LEGUMES (chickpeas/garbanzo beans, black beans, pinto beans, lentils, etc.) You can make a chana masala rife with chickpears (which my fiancee and I have been eating off of for days at work and at home). There are literally endless options, but replace the meat with legumes. As for milk, you can make your own mixed nut milk, or buy any milk sub you want if you need it. Cut out all processed foods that have questionable ingredients, but especially those that contain ADDED SUGARS, FATS, OR OILS. Once you do those things, you will be well on your way to losing weight healthily. blaise: Thank you very much for your helpful comments directed to Ana. English isn’t an easy language and we can all use some help. For instance, might I direct your attention to your first sentence: “I am assuming English may not be your first language?” It is a declarative sentence and it does not use a question mark to conclude. In the third sentence of that first paragraph, you write, “The word loose, in it’s most basal definition…” Of course “it’s” is a contraction for it is, it was, etc., while you probably wanted to use the possessive form of the pronoun, it, i.e., its. While I think that your dietary advice is great, overall, I do fear that Ana will take your assistance to heart and will be telling friends that she is “eating off of” her “chickpears,” from now on. Perhaps that’s simply the risk we run when we help. I agree, ” off of ” is extremely bad grammar. Query: “Pedantic,” Blaice. This is not a forum for grammar, is it? Who loosed the grammar police here? Is it really necessary to nitpick when a person is doing their best to garner information? How are your skills in writing Russian, Italian, Greek, etc? And no edit button! Hi Vegetater. How are things going in Florida? Majoring in minors and minoring in majors can cause a person their life. In this case majoring in minors is counterproductive to the great contributions of this site. I wish I could write a second language as well as Ana. For weight loss, I would try Dr. John McDougalls Maximum Weight Loss Program, which you can get at Amazon.com. The author claims “We can avoid sulfur(sic) additives by reading labels or by just choosing organic, since they’re forbidden from organic fruits and beverages by law. But in fact, sulphur containing organic pesticides are used. Both Sulphur and Lime-Sulphur are used as pesticides on “Certified Organic” produce. And traces of these pesticides are found on “Certified Organic” produce. Trace amounts are not the came as intentional additives, but the presence of sulphur and sulphur containing compounds in your food is still there. Onions (leeks, shallots, chives also). The author seems to be saying that ALL sulphur is to be avoided. And that is not backed up by science. The author is coming across as somewhat of a chemophob. Not at all what I had come to expect. When reading the article I did note the mention that research has shown that the sulphur in cruciferous vegetables does not cause the same undesirable effects, which I assume would likely be true for other sulphur containing vegetables as well. Cabbage, for instance, supports healing in the gut, possibly mostly attributed to its L-Glutamine content. What is your opinion about consuming organic sulfur (methylsulfonylmethane) as a supplement? I like your new video format very much! Does this pertain only to beef or all meat? ANY and all meat and animal products, including fish, dairy and eggs. Great article. Tumbs up dr.Greger. Con you point me to strepcoucus bacteria. My kids were put into antibiotics amexocillin and suffering. Thanks in advance. Meaning any article about strepcoucus bacteria. How to fight it. Thanks. For years we had a glass of red wine with dinner. In my 50’s, I started itching after dinner (my back was the worst). I had no idea what was causing this itching every night and didn’t associate it with red wine. I wasn’t clueless..just had children and very distracted and busy. The itching lasted about 30-40 minutes. Then with the kids in college etc., I was able to focus more on the fact that this itching had really become an every night event. So, I googled things and the ‘sulfites’ in red wine seem to be the cause. I stopped drinking my nightly glass of red wine. I tried some French wines because they’re suppose to not allow sulfites in their wines but I think they use them in the ones I tried they send/sell to the US because drinking them resulted in intense itching. I haven’t tried Organic wine but now that I know (from this info) they don’t use sulfites, I will. Thanks. I really enjoy everything I read by the good doctor! Dr Greger, Just curious if there is any recent published research papers you could share on this subject? Encourage their patients to eat a plant based diet. Especially for those with a history of colonic polyps. It should be part of the post colonoscopy discussion. I was informed that most are not adequately educated in nutrition. Most are not accepting of alternative treatments as well. They are always ready to write plenty of RX’ s to support Big Pharma though. Side effects create frequent customers. I hate to be cynical but preventative medicine kills future business. I mean how are you gonna make a boat payment if all your patients are healthy?? I take the supplement MSM for hair and nail health. Any idea if this kind of sulfur is harmful? Do the sulfites in foods like dried fruit, molasses, sauerkraut etc., have negative effects? I heard that sulfites cause cancer (specifically of the pancreas). I’m so very confused. I’ve read The China Study and eliminated much of the animal products from my diet because of the research. Then I read that to heal my hypothyroidism I need to eat animal products, then I read to lose weight I need to follow the ketogenic diet and eat lots healthy fats, some animal products, lots veggies and few to almost no carbs. Then there’s the Dr. Gundry diet. I’m so confused. There is so much information out there that I’m bouncing back and forth between different ideas and eating habits and I don’t know which is right for me. Eating animal products (organic/grass-fed) is necessary? Eating vegan is the best for preventing disease? What is the truth? Dr. Greger has the right answer. Eat the right food, and you naturally lose weight. All these diets emphasize conflicting priorities, but not health. Studies show vegans are consistently thinner than non-vegans. They eat denser nutrient foods so body is satisfied. When you eat non nutrient dense food, body craves more food to get necessary nutrients. Hence eating healthy leads to eating less calories, and natural weight loss. Give a plant based diet try 90 days. You will end up continuing it and keeping weight off permanently. Look for the commonalities? Eat your veggies….real veggies prepared by your self. If you want to add oil….make sure it is coconut or olive? Any animal protein should be non-CAFO. Use whole grains. Keep the salt down. Use herbs. If you generally eat real food not processed food…you are going to be way ahead of the SAD diet. Thank you for this post. I appreciate the information and learned a lot. I’m not a meat eater, but did have a flare up of ulcerative colitis over the winter that coincides with a time I added plant-based protein powders to my diet, perhaps in excess, in an attempt to build some muscle mass and slim down a bit. I suspect excess protein or perhaps another ingredient in the powder was the culprit and that the flare up was not caused by other factors, but there is no way to tell for sure. I imagine the sulfur-containing amino acids also exist, but to a lesser extent, in the plant-based powders, right? Months later, I’m still dealing with getting things back under control and also with the side effects of Prednisone, which are not pleasant. I’m following a whole foods plant based diet and taking my meds hoping for some normalcy soon. It’s sometimes tough to strike a balance between plant based eating that includes the resistant starches mentioned above and too much fiber as I continue to heal. Thanks again for the information in the original post and the replies, especially about sulfur dioxide, which I’ll be on the lookout for now. I watched, but it makes no logical sense. You yourself are eating a methionine rich diet as a vegan. Cysteine and methionine are essential sulfur containing amino acids. Alcohol dehydrogenase and about 600 other enzymes in your body need sulfur containing amino acids to put them back to a reduced or activated state. Great health information; really enjoy your articles. I have your book: How Not to Die, my son has it and I have recommended it to several friends; several have bought it already. I have two copies in my home, one for me and one for my wife. I have been eating WFPB for about the last four months. And, although I have eaten salmon a couple of times & I enjoy eggs, the change has made a world of difference in my life, all positive. I already had stopped eating frozen meals because of the high sodium content (I have hypertension). Food restrictions related to acid reflux started last fall. Somehow, it just seemed to be the right time for real change. It’s interesting & fun! Research suggests that as people age, their ability to absorb or process protein may decline. To compensate for this loss, protein requirements may increase with age. Megumi Tsubota-Utsugi, PhD, MPH, RD, of the National Institute of Health and Nutrition in Japan, and her colleagues in Tohoku University and Teikyo University, Japan, wondered whether protein intake might affect the functional capabilities of older adults. 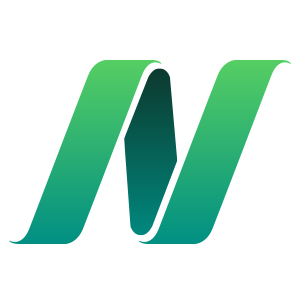 They designed a study to investigate the relationship between protein intake and future decline in higher-level functional capacity in older community-dwelling adults in Japan. Their analysis included 1,007 individuals with an average age of 67.4 years who completed food questionnaires at the start of the study and seven years later. Participants were divided into four groups (quartiles) according to their intake levels of total, animal, and plant protein. Tests of higher-level functional capacity included social and intellectual aspects as well as measures related to activities of daily living. I’n wondering if they factored out socio-economic status and other variables? My guess is to try to find “clean” protein such as ocean caught salmon or sardines. My question is, given environmental influences would the structure of the animal protein develop different? For example a free range cow vs a cow housed in a mass meat farm. Do the epigenetic concepts apply here for these cellular developments? Hi Warren, I am one of the site moderators. There are a lot of differences that the animal endures when existing in a feed lot vs a pasture. The actual structure of the muscle protein is programmed by the animal’s DNA, however other genes that are turned on and off via the environment the animal is in (epigenetics) would effect the status of the muscle. Certainly it is well known that the feedlot grain the animal eats has been shown to be highly inflammatory. The byproducts of that inflammation would effect the muscle. Anything that the animal has to endure prior to being slaughtered will have an effect on the final status of the muscle that is later sold as a steak. That’s one reason dedicated herbivores have such large digestive systems – more time is needed to break them down into useable sugar to fuel the body. Carnivores (and omnivores as well) do not, they/we have much smaller ones. Why? Because meat is easier to process and is more nutrient dense to boot.